Happy feast of St. Nicholas! Hope you remembered to put your shoes out for him to fill, as tradition tells us! This feast usually comes at the beginning of Advent, and it always reminds me how we are given the gift of this special time of reflection. Last week when I spoke of waiting as a major theme of Advent, I realized that waiting usually leads to awareness. Watching/waiting and preparing/being aware will lead us to rejoicing, then beholding. On this First Sunday of Advent, when we celebrated the founding of our Congregation, I focused my attention on the picture of our foundress, Blessed Mary of Jesus the Good Shepherd. Here was a woman who was used to waiting. All the things that took place in her life happened on God’s time -- from her beginning of studies of Catechism to receiving First Communion, from beginning a new community, to bringing us to America. During this time, she became aware that waiting was not a passive action. It was a time for growing aware of God’s plan in her life. 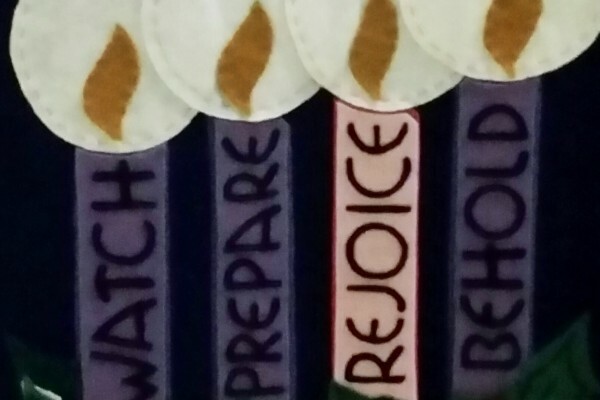 Advent for us gives us the time for transformative growth. But we need to wait and be aware of God’s movement in our lives. Jesus is always advising the Apostles to be alert and awake to that which is around them. How do we live out this message in our daily lives? How are you experiencing this Advent season? Are you aware of what is happening around you? Who in your family may need help during this time of year, emotionally, spiritually, physically? What about your co-workers or community? Are there agencies or causes that could use your talents during this time of year? (Check out Share the Journey for ideas on how you can use your talents to help migrant and refugee families.) There seems to be so much out there. Yet, if we wait, become aware, then act, we will be fulfilling God’s plan in our life. My prayer is that you are able to stay awake, be aware and be grateful for this wonderful season of Advent.